These headphones are perfect for every style of music  not just the Imperial March! You might think, "What does Star Wars have to do with music? Isn't it about lightsabers, space battles and the duality of good and evil?" While this might be true, let us just answer your question by naming a few things: Cantina Band, Imperial March, Duel of the Fates... Without the amazing soundtrack by John Williams, the legendary science-fiction series would be significantly less legendary! 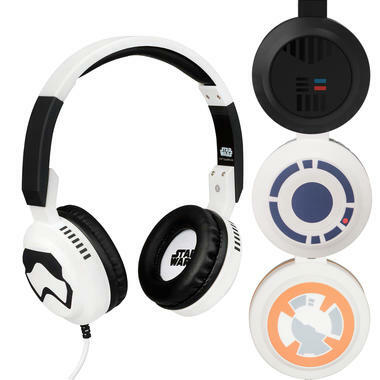 With the Star Wars Headphones, you can listen to the best music from here to Hoth (other music genres are available). Choose from four different variants, all visually inspired by characters from the movies: Stormtrooper, Darth Vader, R2-D2, BB-8. 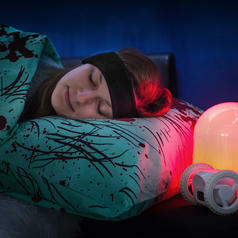 Each model features padded ear cups that can be rotated inwards, a padded headband and a built-in microphone. The 120-cm-long, 3.5 mm jack cord can be used to connect the headphones to your phone or any other compatible output device. Just be careful not to cut the cord with your lightsaber by accident ;). 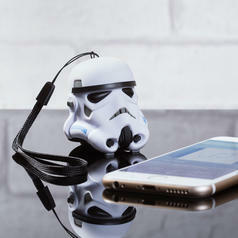 29,95 € lade... Stormtrooper Bluetooth Speaker The coolest speaker in the galaxy far, far away. 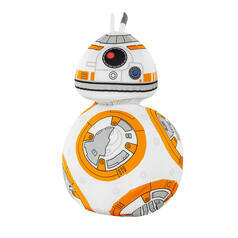 18.04.19 19,95 € lade... Star Wars BB-8 Plush with Sound This droid is pretty cute, cuddly - and it even speaks to you!